Want to add your event to the calendar? Email us with the details so we can help you reach the community! Food Trucks, music, petting zoo, face-painting, beer/wine and more! This community event raises awareness for on-going park conservation efforts, volunteer opportunities, Resurgens / MCPC playground opening, Brookhaven Park’s Bond initiative and Brookhaven Public Work’s Watershed Study improvements. Local conservation groups will be on-hand to show and explain their environmental goals, projects and educational programs. Trees Atlanta, Chattahoochee Riverkeepers, Metro Atlanta Beekeepers, Atlanta Audubon Society, National Wildlife Federation, National Parks Service, The Amphibian Foundation, and more. Local sports leagues and Scout Troops will provide updates on their meetings, leagues, camps, upcoming seasons and registration. Brookhaven Park groups will have a display table with P&R and PARC of Brookhaven to provide updated information. Use the Contact Us tab or email stevebp@bellsouth.net to receive bcc email blast. Birding Focus: Three main habitats (lake, wetlands, mixed woods) provide good species diversity. We will look for winter residents, including raptors, waterfowl, waders and passerines. This walk is suitable for adults and children over 14 years of age and is especially good for beginning birders. ​Species, numbers and results are uploaded to www.ebird.org the Cornell University Lab of Ornithology site for tracking & information. ​Sweep the Hooch @ Murphey Candler Park! STH is an annual day of service to the Chattahoochee River watershed (CRWS), mobilizing volunteers on foot, in waders, or kayak/canoe paddlers to remove trash at locations throughout the watershed. STH brings people together to give back to the mighty river that gives us so much. MCP is in the middle of the Nancy Creek Watershed that ultimately flows into the CRWS. Groups - thanks so much! Groups from: GA Aquarium, Scout Troop 379, Scout Troop 268, Chamblee HS Interact, Fulton Science Academy and GILLS!!! WSB was on-hand performing interviews and collecting live action! We cannot thank Tammy Bates - CRK Outings Manager & STH event coordinator!! !, and CRK ENOUGHl! This clean-up day brings such great service to our watershed, park, community, city and overall area. The lake and streams have never been so clean! 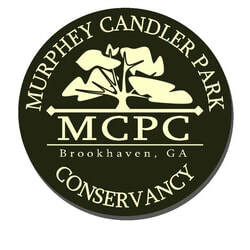 Park & Recreation Coalition of Brookhaven: to Advocate, Communicate, Promote and Unite.